The British Bloodstock Agency Ltd. Correctly known as Queensberry House, though often spelt as Queensbury House. Born on 5th December 1725 in Peebles Scotland (as detailed in the records held at the General Register House, Edinburgh and Vicary Gibbs' Peerage - note this contradicts Wikipedia), William Douglas, known colloquially as 'Old Q', was equally both loved and loathed (particularly by the Scottish poet Robbie Burns). Highly eccentric, his longevity meant that he was a well versed knowledgeable link who spanned between the late 17th and the early 19th centuries. Tregonwell Frampton, born in 1641, known as the 'father of the English turf' - who trained King William III's horses at Newmarket in 1695, was still living when 'Old Q' was born ... and Lord Godolphin, who was born in the reign of King Charles II, was still racing when William made his first appearance in horse-racing. Known in his time as a 'voluptuary' (a person whose chief interests are luxury and the gratification of sensual appetites) - apparently in his older years William would sit looking out of the balcony window of his house in London's Piccadilly and ogle the women, also going up to them in the street and making lewd suggestions. But this is being unfair to the man who made such a considerable positive impact on promoting the success of horse-racing and particularly to Newmarket, where he re-invigorated the racing fraternity's interest in the town and his wealth has resulted in such a considerable legacy in the large estates that he owned here. William made his first appearance on the turf at the age of 23 alongside the second Lord Godolphin and Thomas Panton senior. 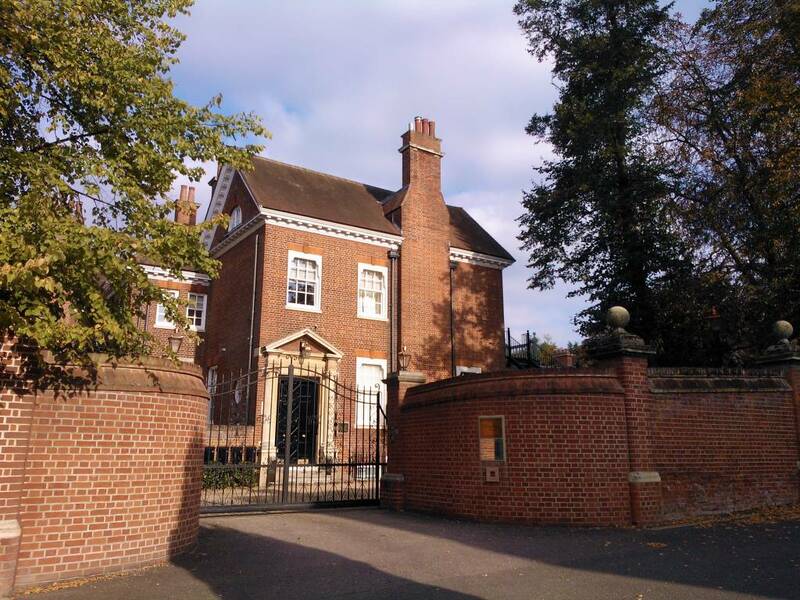 Panton's House in Newmarket is still present and was previously the Kingsway Cinema - No.105-113 High Street - details about him can be found on the page for this house. Thomas Panton (1731-1808) was chief groom (equerry) to King George II and master of the king's running horses. In 1748 William's chestnut gelding 'Whipper-in' beat Lord Downe's bay mare over four miles for a hundred guineas at the Newmarket Spring Meeting - the first of many wins for the Duke. From then until 1805, when the Queensberry colours, dark red and black cap, were entered for the last time at Ascot Heath, 'Old Q' was the most prominent and successful owner on the English turf ... frequently in his younger years riding his own horses and holding his own with the best amateur and professional jockeys of the time. One event that gained Queensberry notoriety was a particular wager made on 18th October 1749 with Irishman Count Taaffe, amongst others. 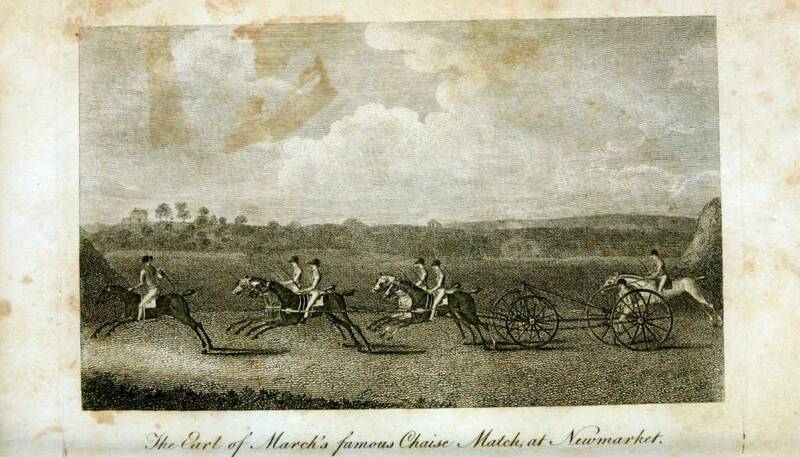 The terms of the wager were that for one thousand guineas that he could not provide a four-wheeler carriage to carry a man and be drawn by four horses nineteen miles in an hour (an unheard-of feat in those days). William took considerable trouble to gain an advantage, trying horse after horse, carriage after carriage and finally selected a horsebreaker's brake, without the usual high seat of standard carriages of the day. Every effort was made to reduce weight and running friction and also the horses were rigourously trained. 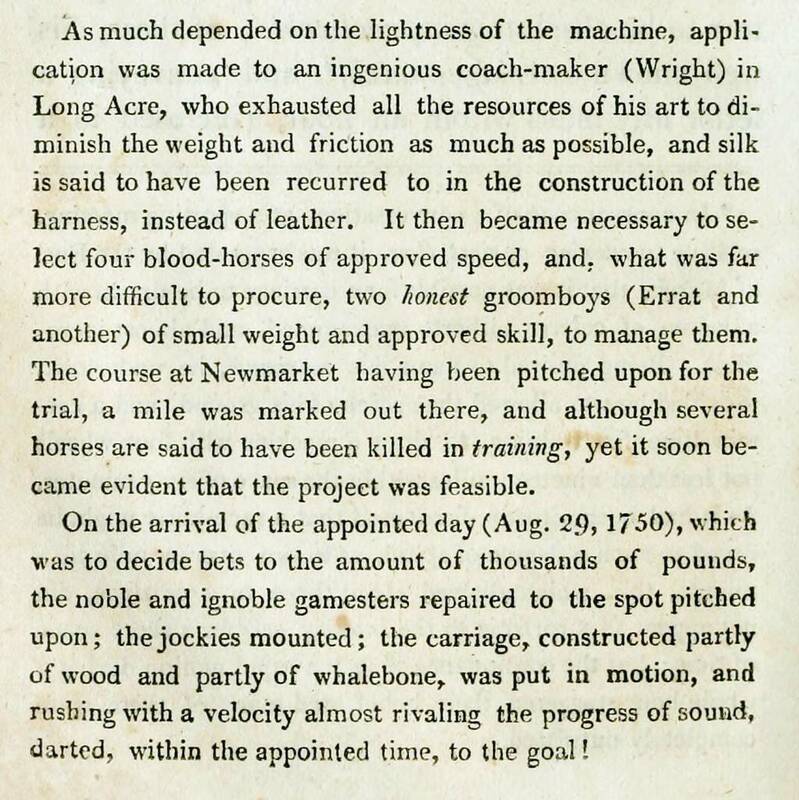 At about 7am in the morning on 29th August 1750 the carriage with its four chosen horses and driver dressed in red silk stockings, black cap and white satin waistcoat took to the course at Newmarket before a very large crowd of spectators. William's efforts were rewarded when his carriage covered the first four miles in nine minutes, and the total distance in six minutes and thirty-three seconds under the hour. He won his wager and a place in the history books for his daring and unusual bets - throughout his life he was said to have won nearly a quarter of a million pounds, though mostly always (as above) by stacking the odds in his favour somehow. The Duke of Queensberry was one of the first members of the Jockey Club and as such was instrumental in creating the much fairer sport that's still experienced today in horse-racing. The Prince of Wales (later King George IV) and his companion Mrs. Fitzherbert were constant visitors at Queensberry House, as was the Prince's younger brother, the Duke of Clarence (later King William IV). 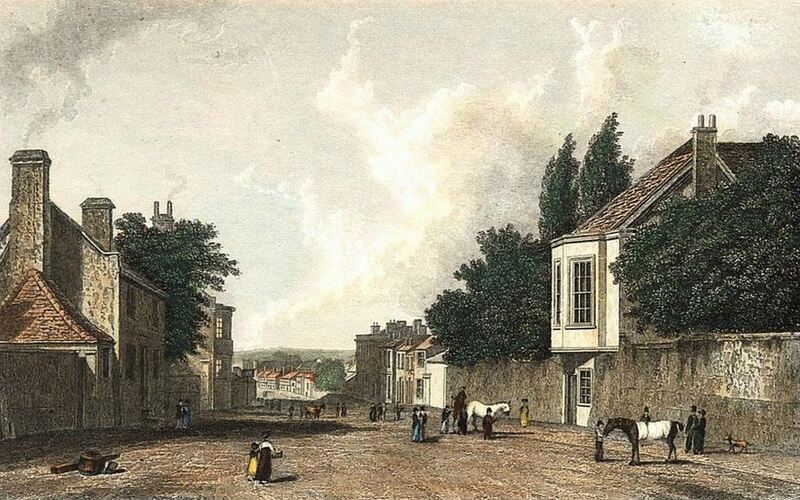 At the age of 63 (1788) William retired from his house at Newmarket to better enable his lustful passions in Piccadilly, which he notoriously enjoyed into old-age and died on 23rd December 1810. The Duke's estates in Newmarket were extensive and one part of them was behind the now-long-gone Red Lion pub - part of this is now Rous Road - details about this can be found on the page for this road. Despite being extravagant with women the Duke never married, but he did have an illegitimate daughter - Maria "Mie-Mie" Emilia Fagnani, later known as the Marchioness of Hertford ... and its clear from various land transactions that she did inherit his estates in Newmarket. Maria married Francis Seymour-Conway, 3rd Marquess of Hertford and their son Richard Seymour-Conway, 4th Marquess of Hertford inherited the Queensberry estates. The Duke of Queensberry's original house can be seen extending through the wall onto the High Street. 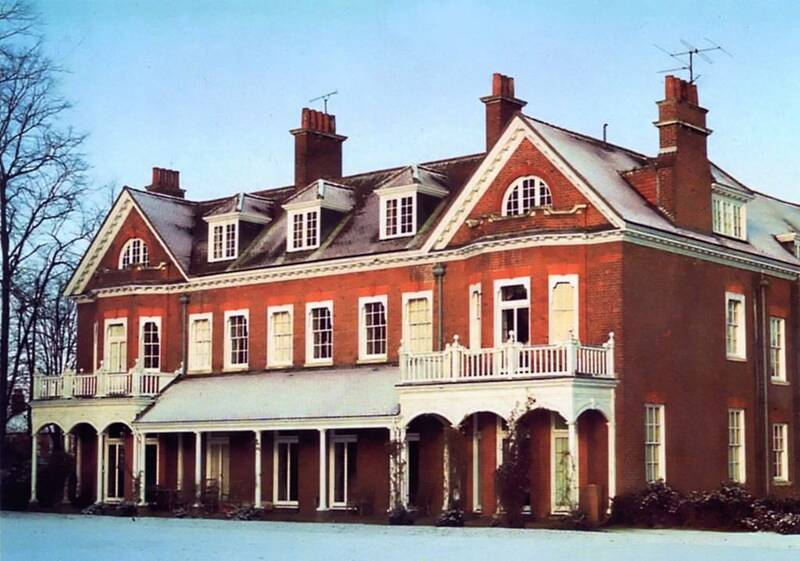 In 1830 the estate would have been owned at this time by the Marchioness of Hertford. Sir Richard was the illegitimate son of Richard Seymour-Conway, 4th Marquess of Hertford. The Queensberry Estate. - It is stated that Sir Richard Wallace has decided upon laying out and cutting up his Queensberry Estate, at Newmarket, for building purposes. They include two estates, one at either end of the town, so that persons wishing to reside near the race-course or near the railway can have their choice. As the town of Newmarket extends, these estates will become incorporated with it. The architect entrusted by Sir R. Wallace with the laying out of the estate is Mr. R. A. Came, of 27, Mecklenburg-square. On the 1884 sales details of when William Parr Isaacson (from Willoughby House - No.103 High Street) sold-off what had been Crockford's and before that Panton's Estate, Queensberry House, though not part of that land, is shown on the sales maps as belonging to Sir R. Wallace. Bart. The present house on this site, known as Queensberry House, is built on a portion of the site of 'Old Q's' stables, but the Duke's actual dwelling-house fell into disrepair and was demolished c.1870. 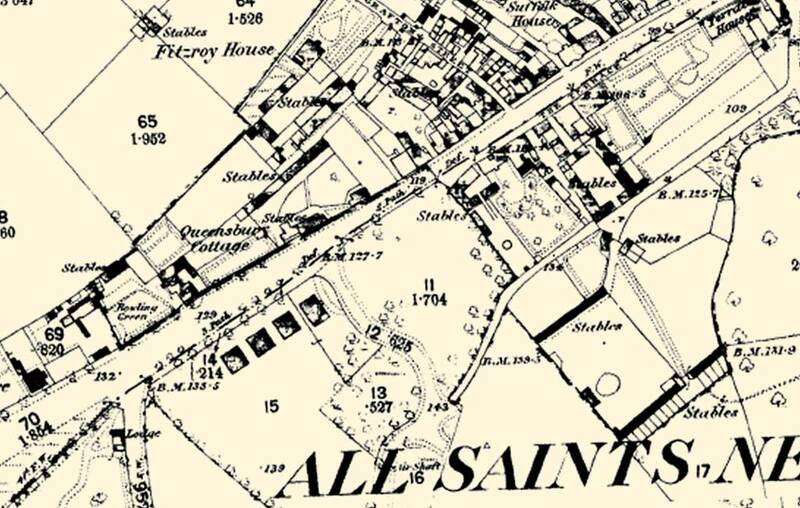 The 1885 town plan of Newmarket shows just an empty plot on this site, though as can be seen in the map below the side road from the High Street that leads into Queensberry Road at the rear had been built at that time. Queensberry House was designed by Victorian architect Colonel, later Sir Robert William Edis and completed in 1898 for banker Frederick Glyn, 4th Lord Wolverton and Lady Edith Amelia Wolverton (née Ward). Its purpose was as a lodge to be used for race meetings, during which time it became the venue for many a society party and important visitors that stayed here include the Prince of Wales, later King Edward VII and Lillie Langtry. Frederick Glyn was a lord-in-waiting to Queen Victoria and was one of the few who received her Queen’s Diamond Jubilee medal in 1897. 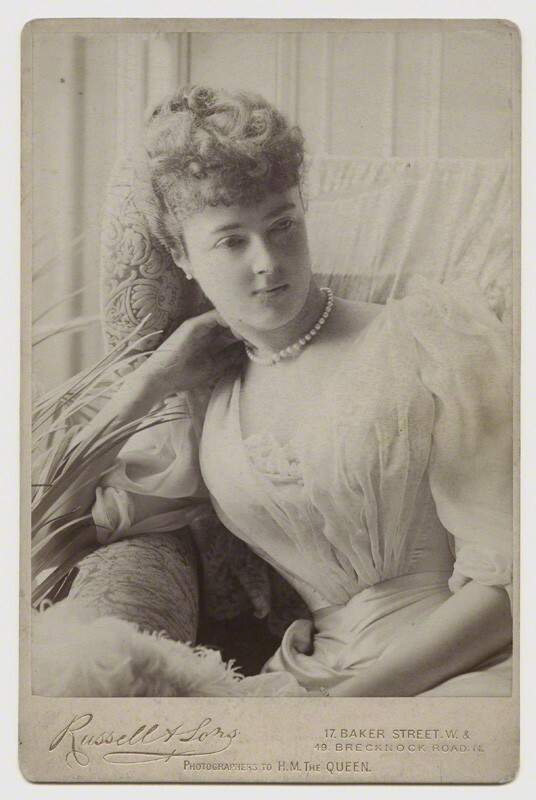 Edith Amelia Ward married Frederick Glyn on 5th January 1895 in Kensington, and building of their new house in Newmarket started soon after in 1896. Two fashionable marriages occurred this evening. 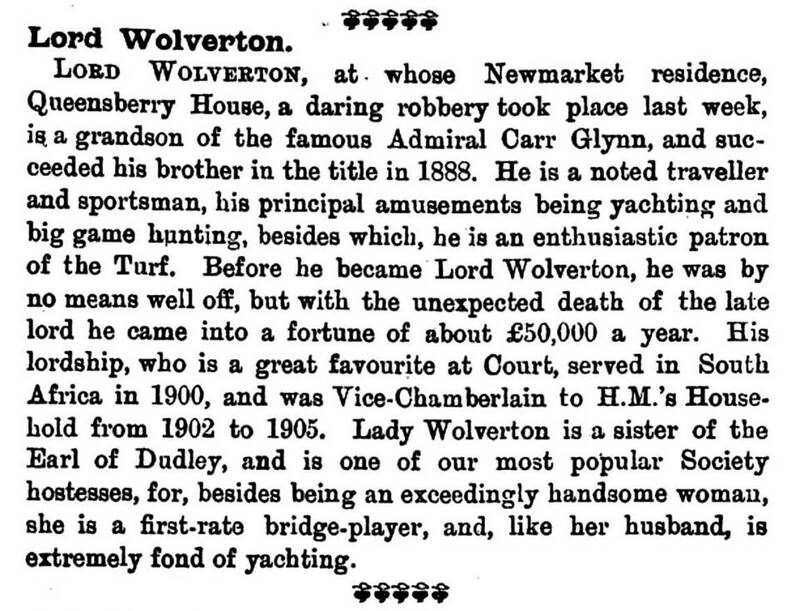 Frederick Carr Glynn, fourth Baron of Wolverton, a lord-in-waiting upon the queen and a member of a syndicate represented by Lord Dunraven which will build the yacht intended to sail for the America's cup this year, was married to Lady Edith Ward, sister of the second Earl of Dudley, at the Church of St. Mary, by the Abbott of Kensington, at 2:30 o'clock. There were six young and titled bridesmaids. Lord and Lady Wolverton will pass their honeymoon at the Earl of Dudley's seat at Blandford, and will afterwards start on a yachting trip to the Mediterranean. The wedding presents were numerous and included a splendid brooch, set with diamonds and rubies for the bride, the gift of the Prince of Wales. The Duke and Duchess of York, and the Duke and Duchess of Fife, combined, gave the bride a bejeweled lace pin, and the Duke and Duchess of York presented Lord Wolverton with a splendid diamond and turquoise scarf-pin. The Prince of Wales, Duke and Duchess of Fife and other members of the royal family, with the Duke and Duchess of Athol, Duke of Abercorn, Marquis and Marchioness of Londonderry, Earl of Chesterfield, Duchess of Manchester and Baroness Rothschild, and other members of the aristocracy were present. Baroness Wolverton outlived her husband by nearly 24 years and died in Newmarket on 6th June 1956. The younger son of Frederick and Edith, Nigel was the last Lord Wolverton in Queensberry House. Many still remember him; as he was a very tall gentleman. He was often seen walking around Newmarket ... conscious of his height he walked with a stoop. He never married and died without any heirs on 18th August 1986. In the year following his death, on Tuesday 5th May 1987, the contents of the house, including some very rare and valuable antiques were auctioned by Christie's. The sale was held at Queensberry House, which was still held by Lord Wolverton's executors at that time. Eventually the executors of his estate sold the house to the British Bloodstock Agency (BBA). Following a major shareholder's revolt in March 2001 and change of company structure and management, the BBA took the decision to divest their interest in Queensberry House. Planning application for the development of the house for residential use was approved in February 2003 and the sale to NHP Country Homes Ltd. was completed in July 2003 for £1.1 million. 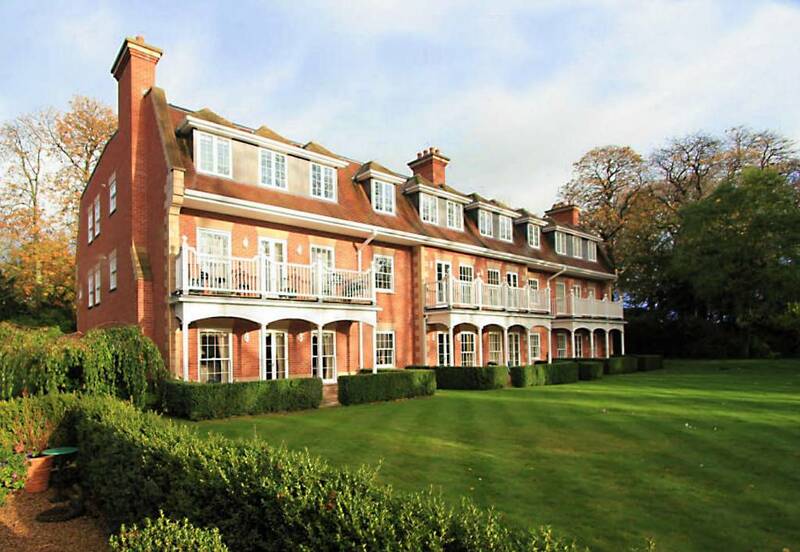 Recently built in the gardens of Queensberry House in the same elegant style is Wolverton Lodge, this is also subdivided and was sold as separate flats. Many thanks to 'Old Newmarket' for the photo 'Queensberry House c.1910' in the Photos section below.